Understand the type of home that suits your personality. Do you prefer a new or existing home? A ranch or a multistory home? If you’re leaning toward a fixer-upper, are you truly handy, or will you need to budget for contractors? 2. Research before you look. List the features you most want in a home and identify which are necessities and which are extras. Identify three to four neighborhoods you’d like to live in based on commute time, schools, recreation, crime, and price. Then hop onto REALTOR.com to get a feel for the homes available in your price range in your favorite neighborhoods. Use the results to prioritize your wants and needs so you can add in and weed out properties from the inventory you’d like to view. Generally, lenders say you can afford a home priced two to three times your gross income. Create a budget so you know how much you’re comfortable spending each month on housing. Don’t wait until you’ve found a home and made an offer to investigate financing. Gather your financial records and meet with a lender to get a prequalification letter spelling out how much you’re eligible to borrow. The lender won’t necessarily consider the extra fees you’ll pay when you purchase or your plans to begin a family or purchase a new car, so shop in a price range you’re comfortable with. 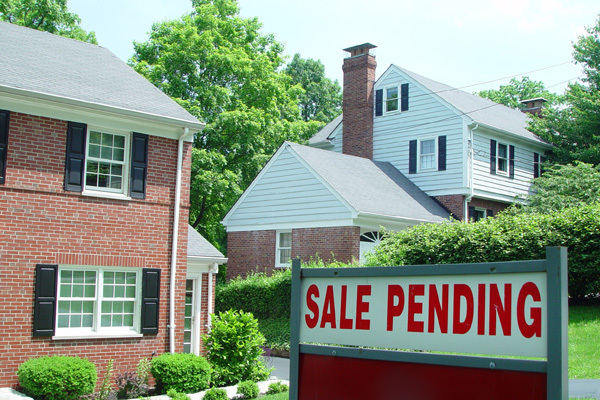 Also, presenting an offer contingent on financing will make your bid less attractive to sellers. 4. Set a moving timeline. Do you have blemishes on your credit that will take time to clear up? 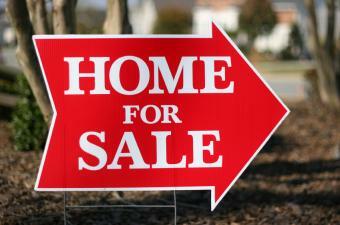 If you already own, have you sold your current home? If not, you’ll need to factor in the time needed to sell. If you rent, when is your lease up? Do you expect interest rates to jump anytime soon? All these factors will affect your buying, closing, and moving timelines. Your future plans may dictate the type of home you’ll buy. Are you looking for a starter house with plans to move up in a few years, or do you hope to stay in the home for five to 10 years? With a starter, you may need to adjust your expectations. If you plan to nest, be sure your priority list helps you identify a home you’ll still love years from now. 6. Work with a REALTOR®. Ask people you trust for referrals to a real estate professional they trust. 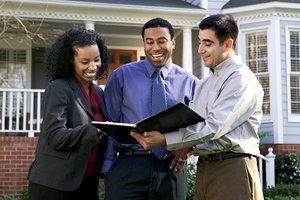 Interview agents to determine which have expertise in the neighborhoods and type of homes you’re interested in. Because homebuying triggers many emotions, consider whether an agent’s style meshes with your personality. Also ask if the agent specializes in buyer representation. Unlike listing agents, whose first duty is to the seller, buyers’ reps work only for you even though they’re typically paid by the seller. Finally, check whether agents are REALTORS®, which means they’re members of the NATIONAL ASSOCIATION OF REALTORS®. NAR has been a champion of homeownership rights for more than a century. It’s OK to be picky about the home and neighborhood you want, but don’t be close-minded, unrealistic, or blinded by minor imperfections. If you insist on living in a cul-de-sac, you may miss out on great homes on streets that are just as quiet and secluded. On the flip side, don’t be so swayed by a “wow” feature that you forget about other issues — like noise levels — that can have a big impact on your quality of life. Use your priority list to evaluate each property, remembering there’s no such thing as the perfect home. 8. Limit the opinions you solicit. It’s natural to seek reassurance when making a big financial decision. But you know that saying about too many cooks in the kitchen. If you need a second opinion, select one or two people. But remain true to your list of wants and needs so the final decision is based on criteria you’ve identified as important. Email Regina@ReginaWallace.com to get started. Buying a home can be emotional, but negotiating the price shouldn’t be. The key to saving money when purchasing a home is sticking to a plan during the turbulence of high-stakes negotiations. A real estate agent who represents you can guide you and offer you advice, but you are the one who must make the final decision during each round of offers and counter offers. Americans have favored buying over renting, even during the recent Great Recession, and this year is no different. The 2013 National Housing Pulse Survey, by the NATIONAL ASSOCIATION OF REALTORS®, found Americans overwhelmingly believe owning a home is a good financial decision, and a majority of renters say homeownership is one of their highest priorities for the future. During the recession, much media coverage of homeownership focused on the idea that lots of people thought renting was much smarter than buying. But that wasn’t necessarily the case as a look back shows. You can interpret that dip two ways. Some would say homeowners were resilient as prices declined. Others would say the recession was a wake up call for investors who viewed the real estate market as a short-term investment. Regardless of which way you see it, most of us have returned to the much more realistic viewpoint that real estate is a solid, if long-term, investment. FHA and Fannie Mae are making it easier for homeowners who lose a home to foreclosure or short sale to buy again, but it might not make much difference if lenders don’t go along with the changes — since they don’t have to. 1. Your loss was caused by economic conditions beyond your control. 2. You complete housing counseling. Note: Mortgage lenders have traditionally made you wait two years after a short sale or deed-in-lieu and seven years after a foreclosure to apply for a mortgage. Once you’ve met the conditions, you’ll still have to meet all the usual mortgage loan rules and guidelines that lenders use for everyone — like having enough income (and not too much debt) to afford the refinanced mortgage. Fannie Mae credit reporting fix: Fannie, meanwhile, has cleared up a credit reporting issue that was holding back former homeowners who sold their homes for less than what they owed on the mortgage (a short sale) or signed over their deed to the lender to avoid foreclosure (a deed-in-lieu). In theory, homeowners who work with the lender on a short sale or deed-in-lieu are supposed to take less of a hit to their credit than homeowners who lose a home to foreclosure. In reality, credit bureaus haven’t distinguished short sales and foreclosures on consumers’ credit reports. Fannie Mae resolved the credit reporting issue by telling lenders to add a special code in the case files of consumers whose short sales or deeds-in-lieu are recorded in credit histories as foreclosures. Starting Nov. 16, 2013, the Fannie Mae loan underwriting system will automatically ignore the foreclosure and correctly recognize the transaction was a short sale when the code appears. Until then, your lender will have to manually underwrite your loan to take advantage of the change. This is all good news. But it remains to be seen whether these new rules will make a big difference for you if you’ve had a foreclosure, short sale, or deed-in-lieu. Decide you have to wait two years instead of one. Ask you to prove you’ve corrected your financial problems. “They’ll probably ask for a written letter from the consumer to explain the previous problems and what they’re doing to solve the previous problems,” he says. Regardless of the changes, if you were hurt by the recession you still may not qualify for a new mortgage because your financial troubles, especially a foreclosure, likely lowered your credit score. How low is too low? In July 2013, the average FICO score for all closed first mortgages was 737, while the average credit score on denied loans was 702, according to Ellie Mae, which sells electronic mortgage origination systems. Credit scores go up to 850. 1. Check your credit reports for free. 2. Pay about $20 to get your FICO score. Credit scores aren’t included in your government-mandated free credit report, and the score you pay for may not even be the exact credit score lenders see. But it can help you decide if your credit will hold you back from getting a mortgage. 3. If your score is too low for you to get a mortgage right now, fix any mistakes. 4. Work to improve your credit score. The decline in home prices and turmoil in the housing markets did influence consumers’ perception of housing as a sound investment — but not by nearly as much as the media made it appear. From 2007 to 2011, based on earlier Pulse surveys, the share of people who thought buying a home was a good financial decision dropped from about 85% to 73% and the share of people who were “not so strongly” positive grew. By 2013, we’re back to 80% thinking homeownership is a sound financial decision.